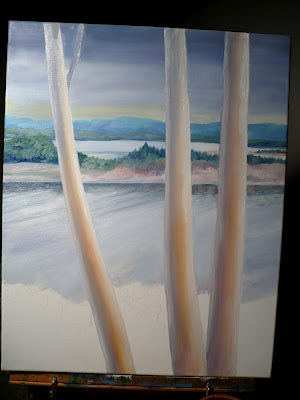 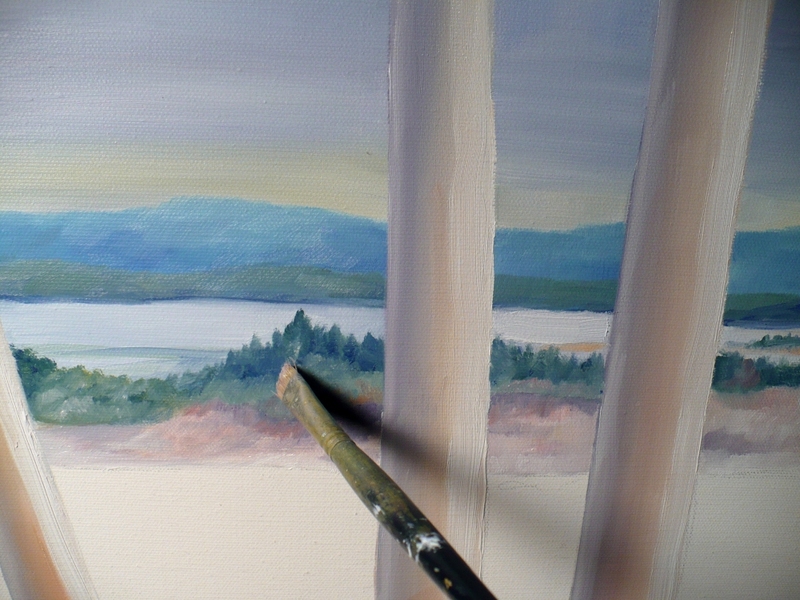 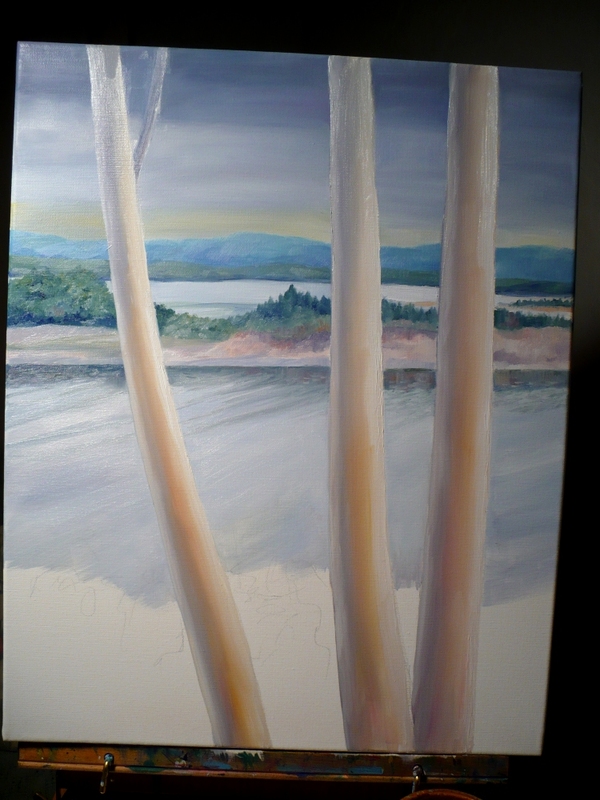 On the easel today is a canvas just waiting for a scene from Nova Scotia to be finished. 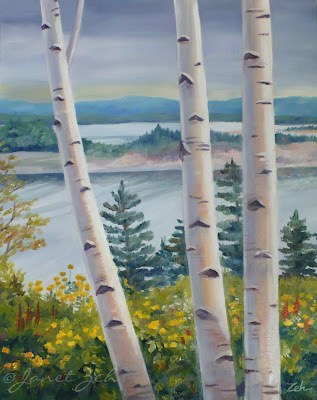 I'm looking for a peaceful scene that invokes the feeling of crisp clear air, the scent of the sea, mountains in the distance and flowers wildly blooming in the foreground. 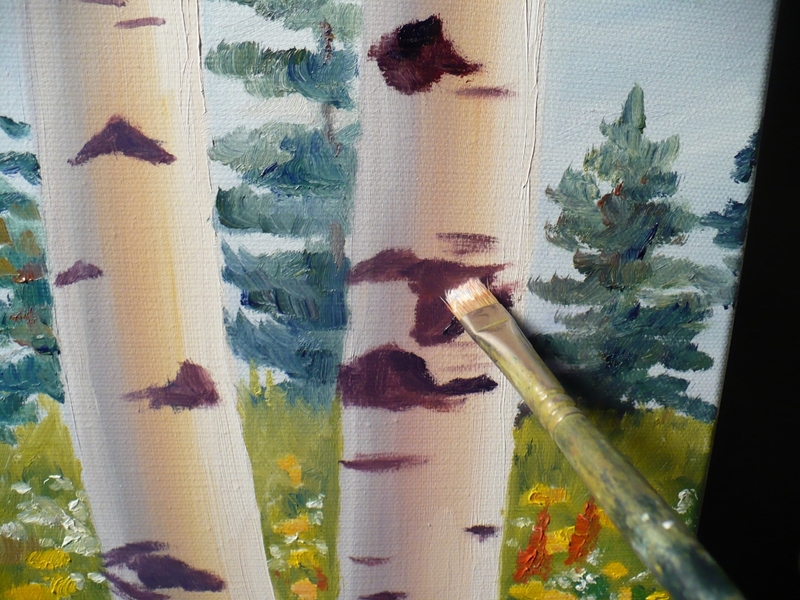 And birch trees. I've already started with a muted sky, a bit of yellow at the horizon and the hazy look of blue mountains. I don't really have to leave white space for the trees. 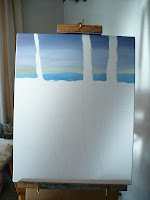 I could wait for all this to dry and then paint over it, but I don't think I can wait! 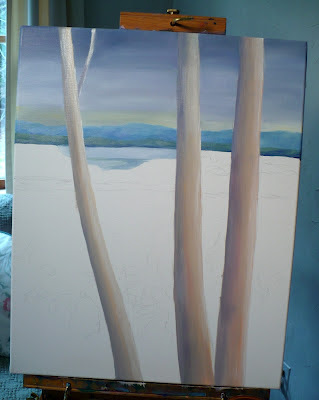 First I add more to the background. You can see a bit of green at the base of the mountains and the beginning of a water body. Then, while the background is still wet, I paint in some base colors for the trees. 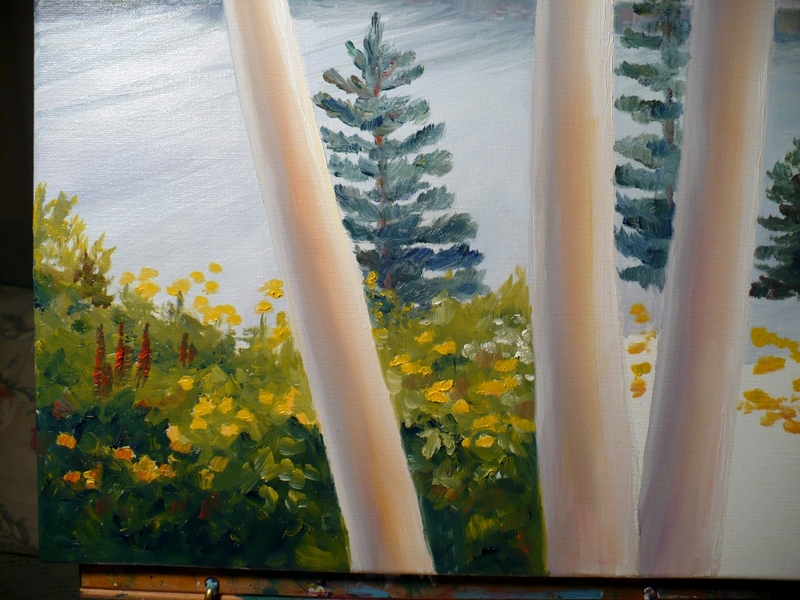 Once the foreground is complete, it's time to add some details to the trees. Because I was working on commissions during this time, this painting was put aside and the paints had time to dry which was perfect! Hope you enjoyed the demo! 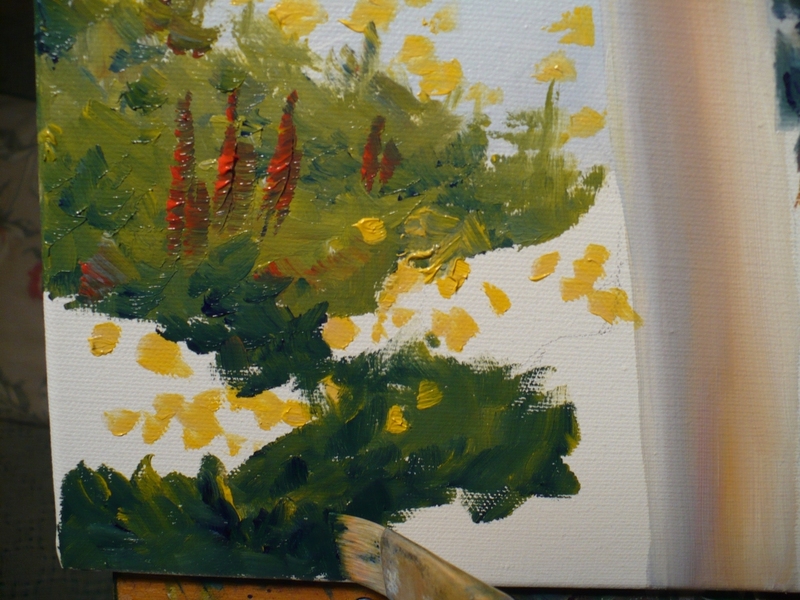 I enjoyed seeing hoe the painting took shape. 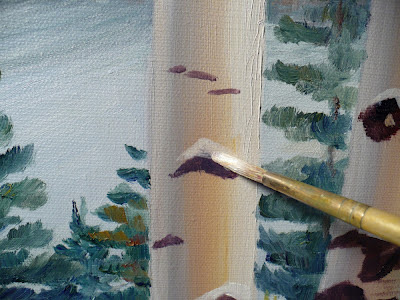 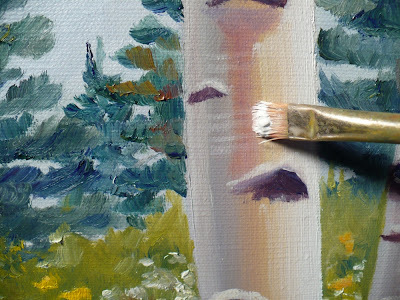 I am starting a painting with birches soon so will try to remember your technique.